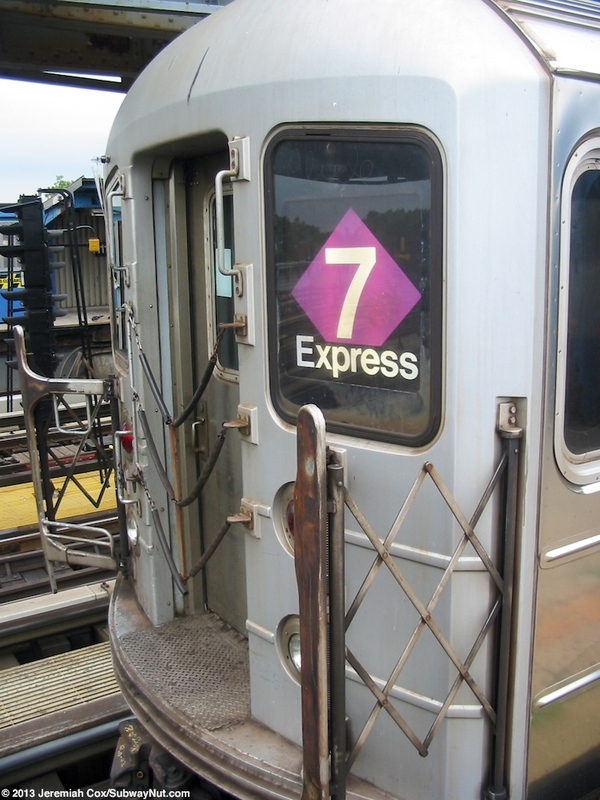 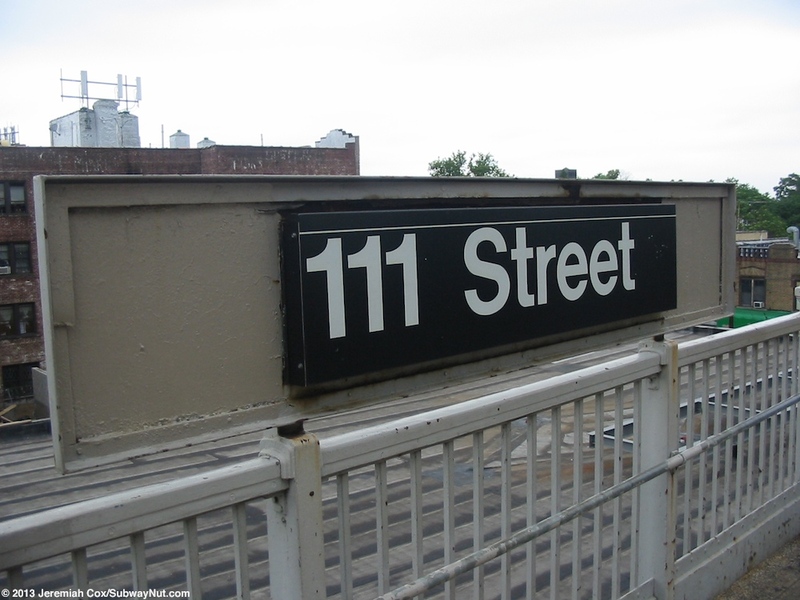 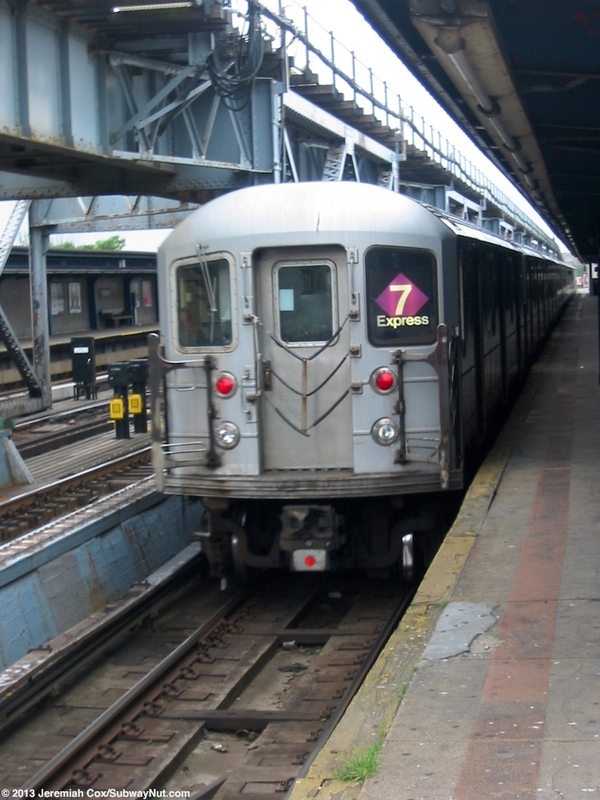 111 Street is the last local stop on the 7 train and home to the flying express, where the express track is on a second elevated level above the station. 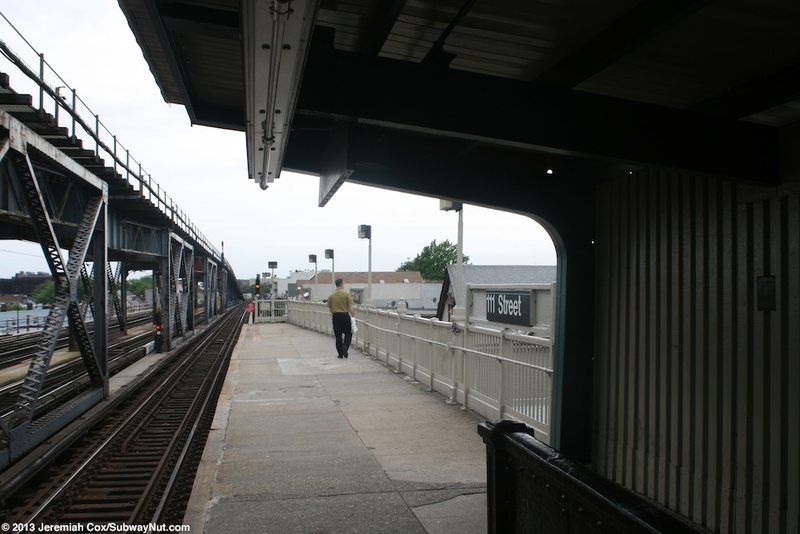 The reason for this is because of the leads into the Corona Yard beyond the station. 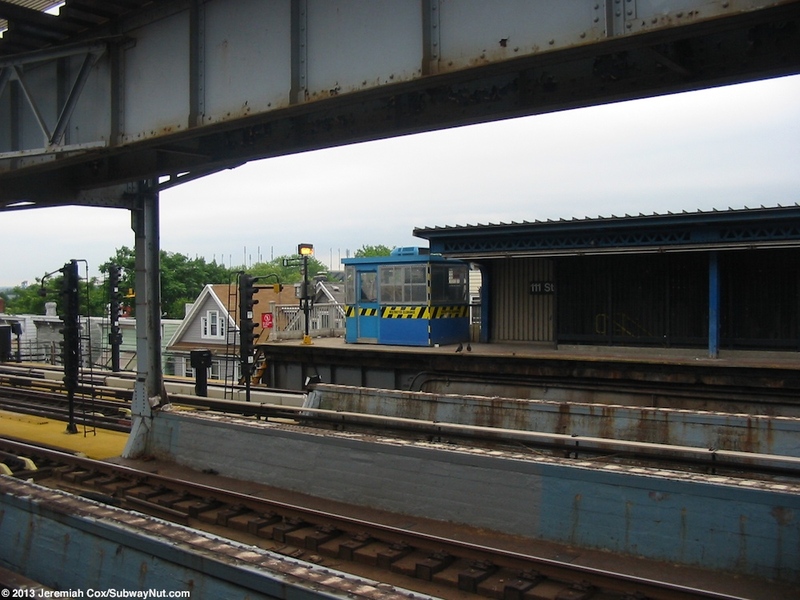 The yard beyond the station makes the stop a terminus for select trains entering and leaving the train yard during rush hour. 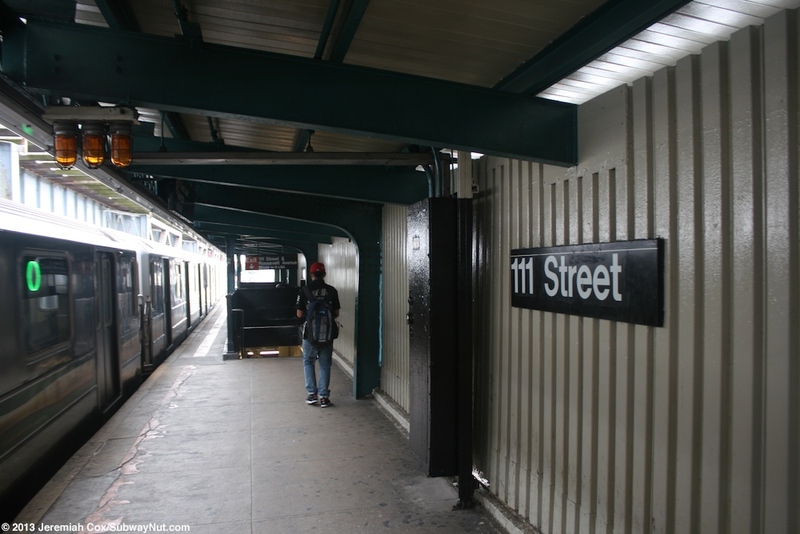 There are five tracks through the 111 Street Station; 4 on the same level as the station plus the flying express track above. 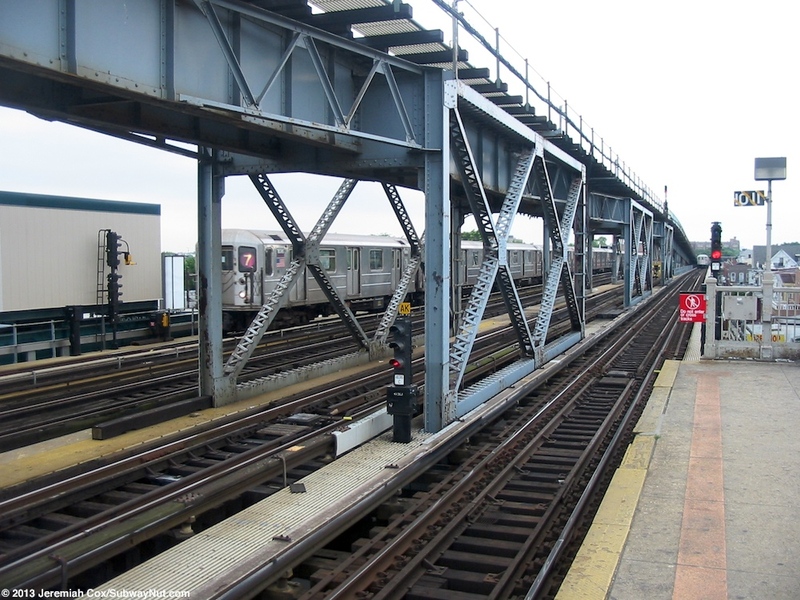 The middle two tracks that don't platform at the station's two side platforms along the local tracks are simply sidings that end in bumper blocks west of the station before the Express track comes down and off its flying level to the same level as the local tracks. 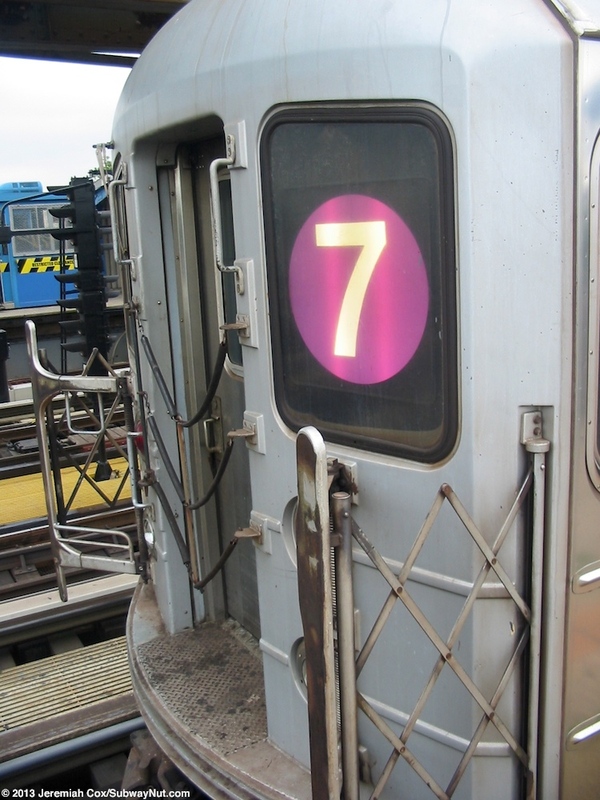 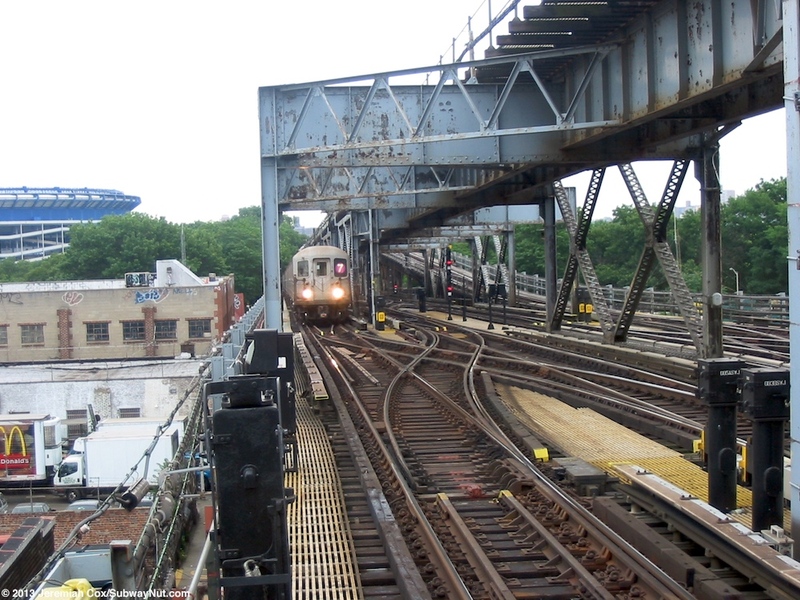 These have switches with the local tracks east of the station before continuing as the two tracks into the Corona Yard (the only yard for the 7 train). 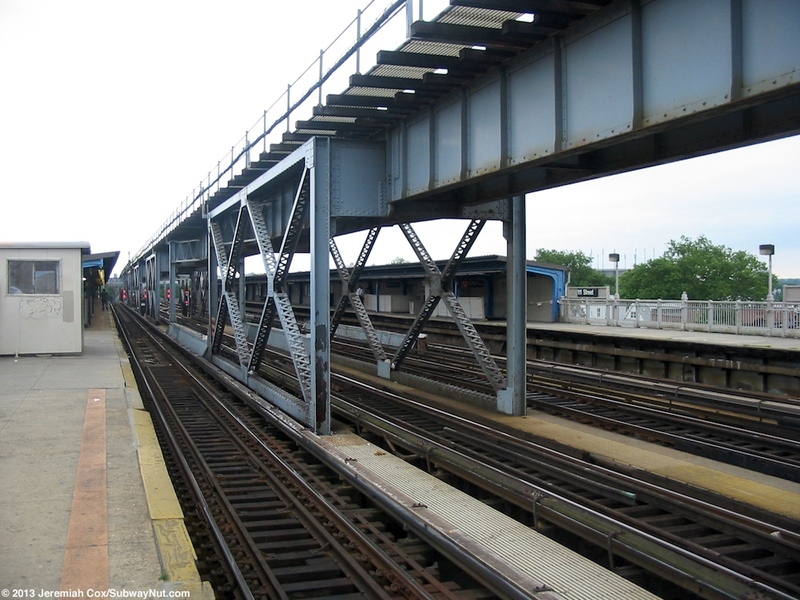 The side platforms themselves are extremely simple. 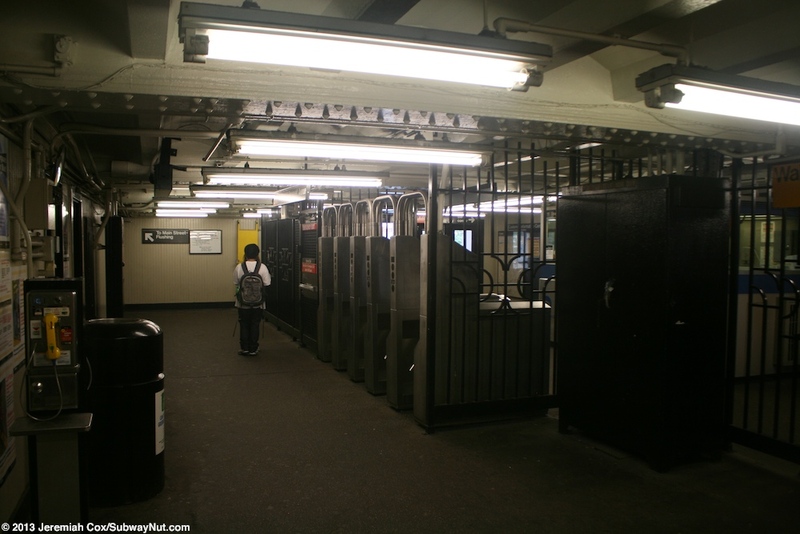 They are mostly canopied that have windscreens under the canopied portions; the ends are left out to the elements with low white fencing. 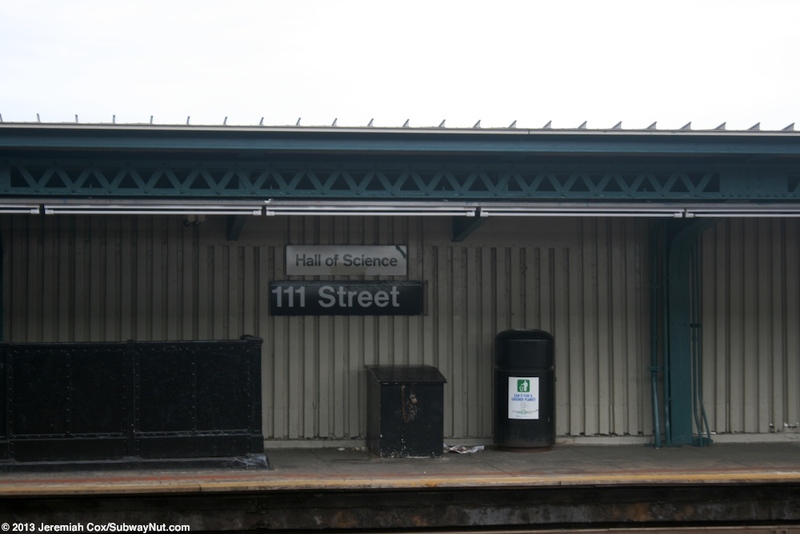 The platforms include white ones for the Hall of Science above the normal 111 Street black ones. 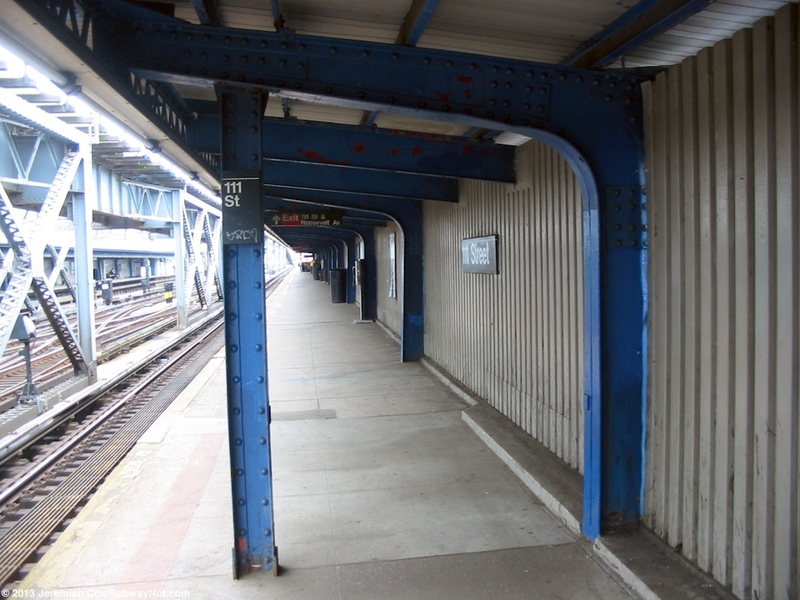 There is one exit towards the eastern end of the platforms. 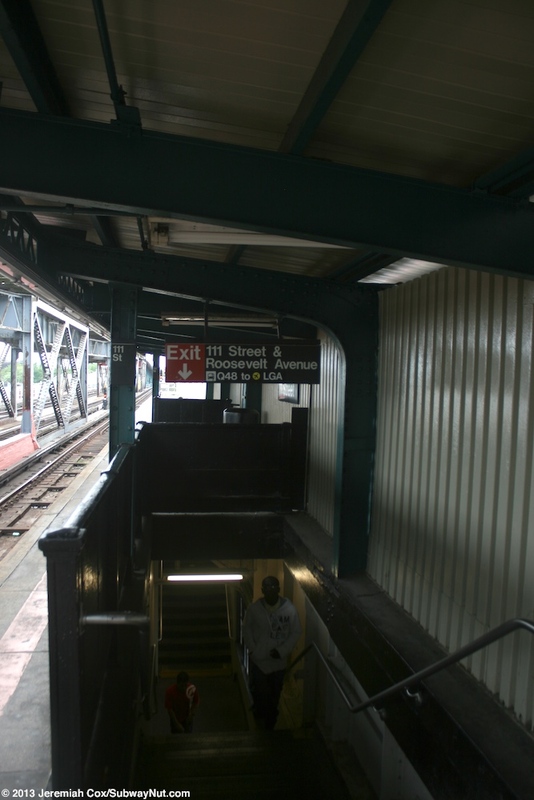 Here two staircases from the Manhattan-bound platform and one from the Flushing-bound platform lead down to a station house tucked beneath the platform. 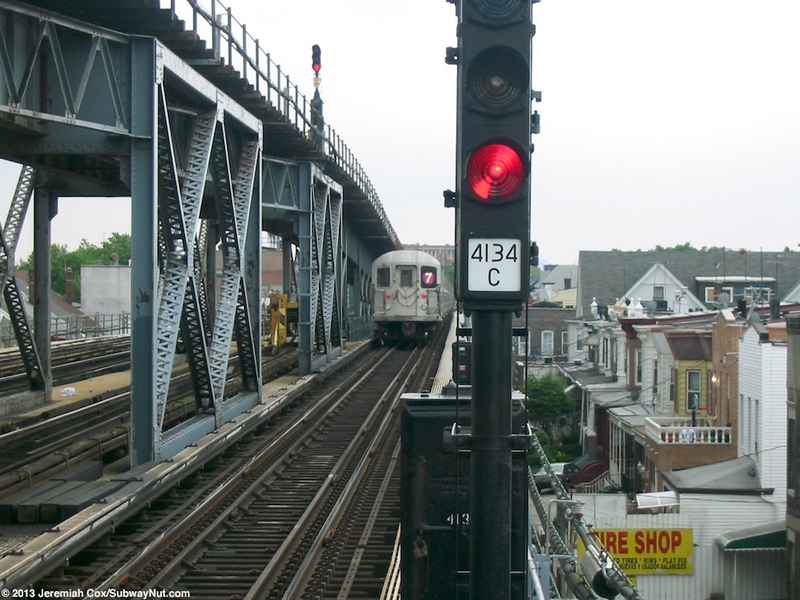 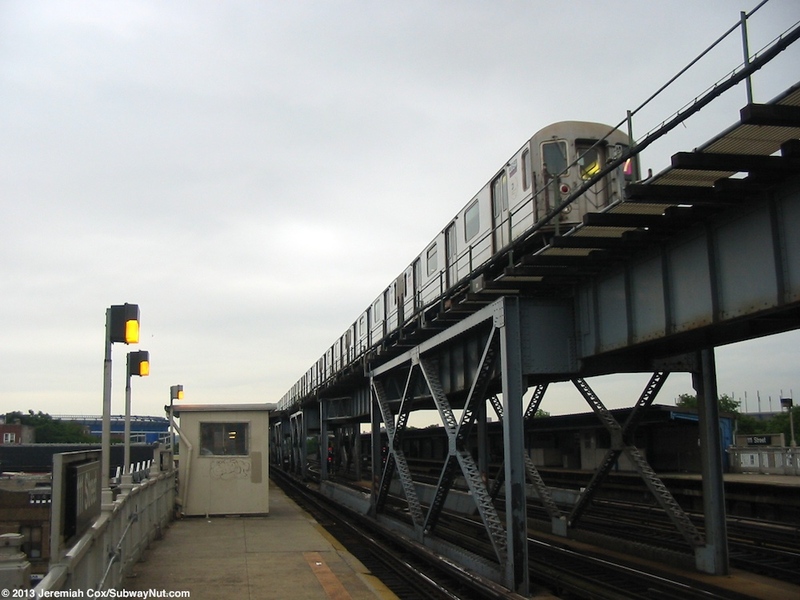 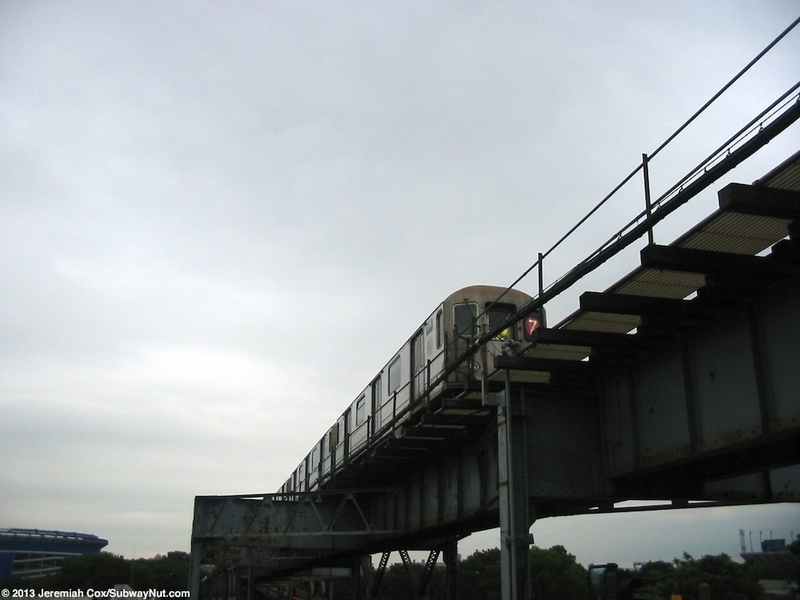 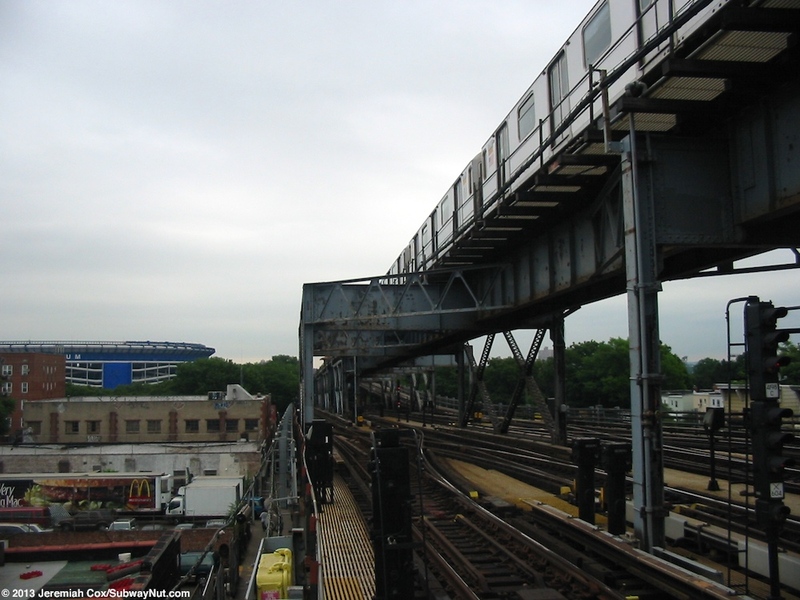 To exit the station are canopied streetstairs down to the NW, SW, and SE corners of Roosevelt Avenue and 111 Street.